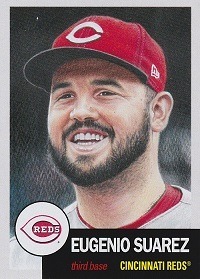 Below is a master checklist for Cincinnati Reds cards. Information for these lists has been gathered from numerous sources, including Beckett, eBay, teamsets4u.com, the Supercollector Catalog, and Wrigley Wax. 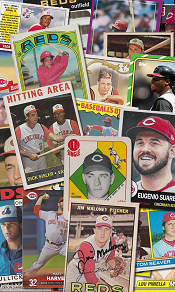 Cards I have in my Reds collection (will be) marked with a strike-through; all other cards should be considered a part of my “want list.” If you have anything I’m missing and want to arrange a trade or sale, or if you are aware of other cards not listed here (even if you don’t have them available for trade), contact me at jasontcarter at gmail dot com. Thanks for looking!